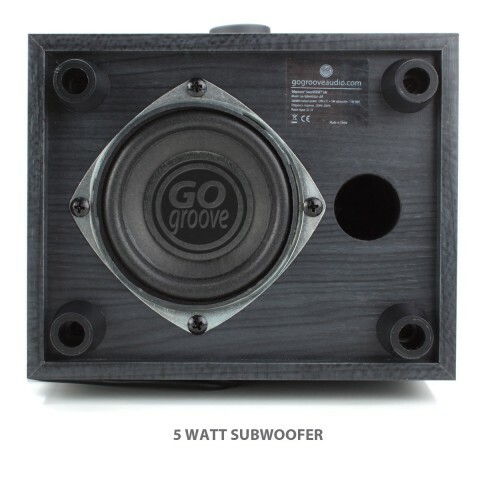 The LBr lets you control the powerful sound and thunderous bass coming from your speakers. With the LBr's bass control you can optimize to your specific likings. Hopefully your neighbors are acquainted to your likings too! 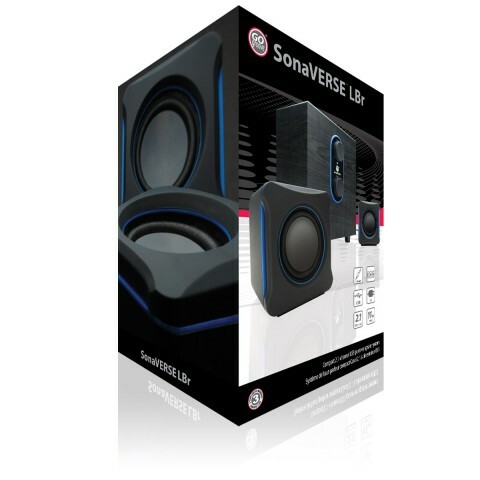 The SonaVERSE LBr offers impressive clarity & fullness with its powerful setup. 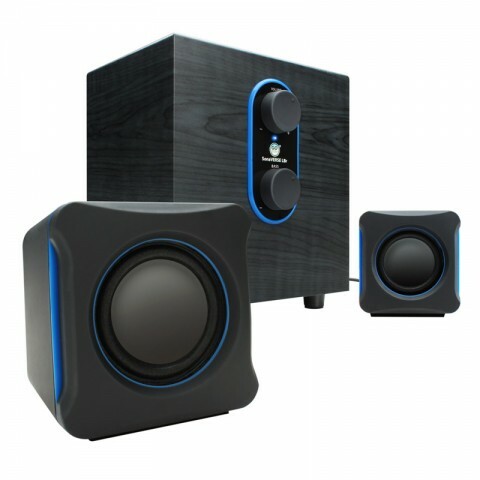 Dual 3W stereo drivers deliver rich mid-range & high frequencies, while the 5W subwoofer powers deep, resonating bass. Integrated volume & bass level equalizer knobs allow you to find the perfect audio mix! 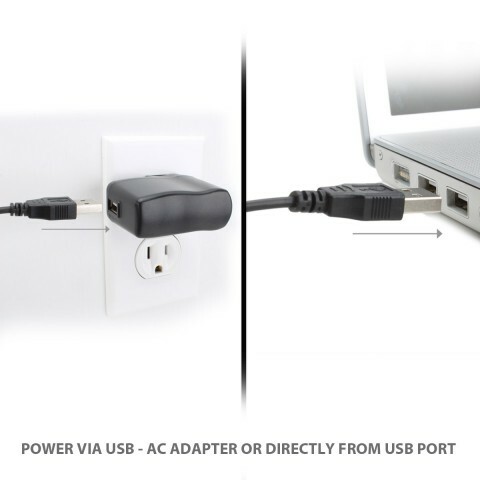 With the option to power via USB port or included AC adapter, you can setup the LBr virtually anywhere. 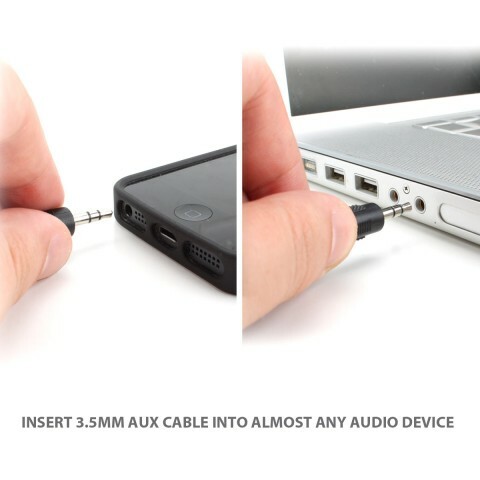 Simply plug the USB power cable into your laptop or desktop, insert the 3.5mm cable into your audio jack, and start jamming to your favorite tunes! 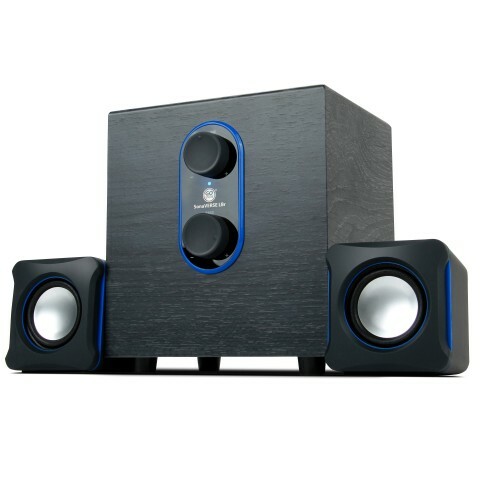 The design is perfect for the office, classroom, bedroom, living room, or a home entertainment center. 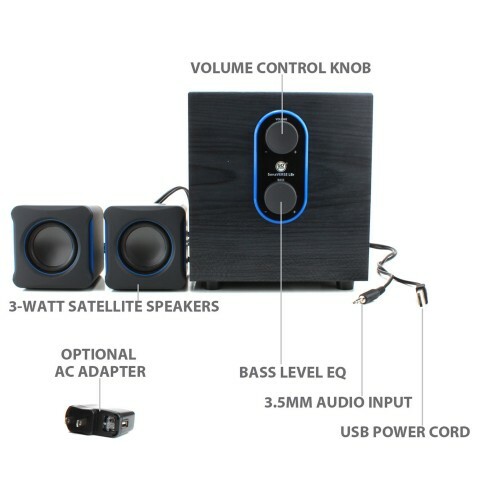 SonaVERSE LBr is the perfect multimedia speaker for any computer!